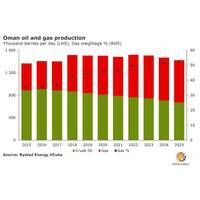 The oil and gas demand will peak in 2023 and 2034, respectively, according to DNV GL’s 2018 Energy Transition Outlook, an independent forecast of the world energy mix in the lead-up to 2050However, new oil fields will be needed until at least the 2040s, while new gas developments will be required beyond 2050. DNV GL’s Outlook predicts that operators will favour production from a greater number of smaller reservoirs with shorter lifespans, lower break-even costs and reduced social impact compared to those currently in operation.“Most easy-to-produce, ‘elephant’ oil and gas fields have been found and are already in production. 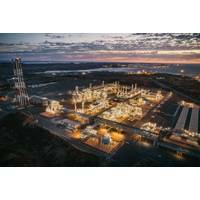 Wood Group has secured a new, five-year contract with INPEX Operations Australia Pty Ltd (INPEX Australia) to provide subsea engineering services for the integrity of the INPEX-operated Ichthys LNG Project, offshore Western Australia. The operations of all subsea assets and the gas export pipeline will be supported under the contract which includes two, one-year extension options and is effective immediately. It continues Wood Group’s 12-year support of the Ichthys LNG Project development; providing subsea engineering and project management services during the concept, front-end, and detailed engineering phases of the project. India's Adani Enterprises on Monday deferred a final investment decision on its long-delayed Australian Carmichael coal project as the Queensland state government has yet to sign off on a royalty deal for the mine. The company had been planning to make a final investment decision (FID) on the 25 million tonnes a year coal mine and rail project by the end of May. "Adani is advised that the Queensland cabinet did not consider any submission or make a decision on royalties for the Adani project today," said the firm's spokesman in Australia, Ron Watson. Royal Dutch Shell has bought only three cargoes of Iranian oil since sanctions were eased a year ago, a small fraction of what it used to buy and an indication of the legal difficulties and high prices that still hamper the trade. The Anglo-Dutch firm did not give a reason for the drop in purchases, which were disclosed in its annual report, and the company declined to comment further. But oil trading sources say Iranian oil is often too expensive and in any case remaining sanctions make dealing with the Islamic Republic a legal minefield. 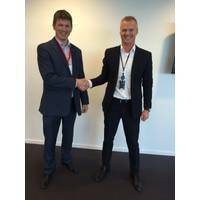 Aker Solutions, Det norske oljeselskap and Subsea 7 agreed on a "one for all, all for one" collaboration model that marks a major shift in how an operator and its suppliers can work together on oil and gas developments offshore Norway. The alliance combines Det norske's exploration and production know-how with Aker Solutions' expertise in front end engineering, brownfield modifications and subsea systems and Subsea 7's capabilities in the engineering, procurement, installation and commissioning of subsea umbilicals, risers and flowlines (SURF). 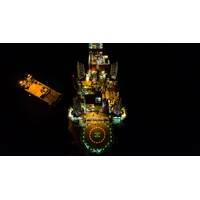 Bibby Offshore, a subsea services provider to the oil and gas industry, says it has secured a 15-day project with BP, due to commence in August 2016. 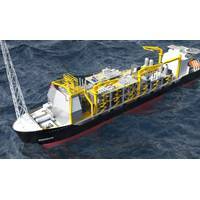 The contract will see diving support vessel Bibby Topaz, working on four BP operations across three of its North Sea assets. 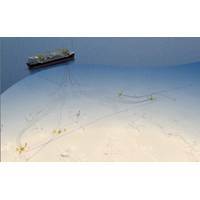 The platforms involved include Central North Sea-based asset Bruce, east of Shetland-based Magnus, and the Mirren field, which is part of the Eastern Trough Area Project (ETAP), one of the largest and most complex North Sea oil and gas developments of the past 20 years. BP today announced that its wholly-owned subsidiary, Castrol Limited, has been successful in selling part of the shareholding it holds in Castrol India. Castrol Limited today sold approximately 11.5% from the 71% stake it held in Castrol India to a range of domestic and international investors. Castrol India is listed on the Mumbai Stock Exchange (BSE: CSTRL IB EQUITY) and the National Stock Exchange (NSE: CSTRL IS EQUITY); a variety of investors hold the other 29% of the company. BP, through Castrol Limited, intends to continue as the majority shareholder of Castrol India. 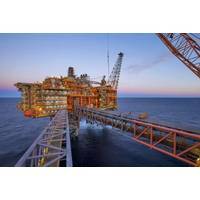 DNV GL has been awarded a contract for the provision of Marine Warranty, Operations And Consultancy Services for the Shah Deniz 2 project operated by BP Exploration (Shah Deniz) Limited. 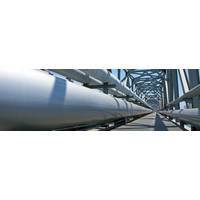 DNV GL will support the operator in assuring the project equipment transportation and installations are conducted to recognized guidelines, standards and internal requirements. Shah Deniz Stage 2, or Full Field Development (FFD) one of the largest gas developments in the world, will help increase European energy security by bringing Caspian gas resources to markets in Europe for the very first time.